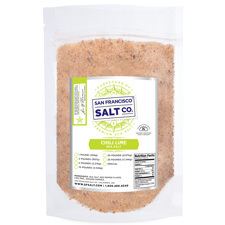 Let Chili Lime Sea Salt awaken your taste buds! 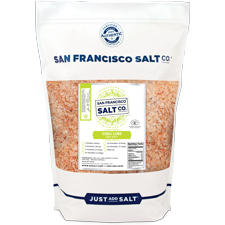 Pure, crisp Pacific Ocean Sea Salt is infused with Red Chili Pepper Flakes, Lime Peel, and Smoked Paprika to create a salt blend that is the perfect blend of spicy and tangy. DESCRIPTION - Pacific Ocean Sea Salt infused with Lime Zest, Red Pepper Flakes, and Sweet Smoked Paprika. We package in our U.S.A, GMP certified packaging facility that is 3rd party audited, by SCS Global. Crafted in the USA.